Each spring the Major League Baseball teams making up the Cactus League play about a month of Spring Training baseball in Arizona. This is the time when the team's managers take a look at the players and determine the final team rosters based on their performance. The great thing about Spring Training games is that you'll get to see many of your favorite team's players during one game and you may be closer to them than possible at their home stadiums. For those new to Spring Training in Arizona, there are important things to know about getting tickets, where to go to see the games and even strategies to get autographs. There are 15 Major League Baseball teams that come to Arizona each year for a league affectionately referred to as the Cactus League. The teams in the Cactus League regularly train and compete at their own "home" stadiums throughout the months of February and March. When it comes to getting tickets to Spring Training, which are often far cheaper than regular season tickets, it can be quite difficult to get seats for games played by the champion of the prior baseball season or those sitting on top of their pre-season standings, so planning ahead can be necessary. The popular Spring Training season is a time when the resorts are full and even short-term vacation rental homes are hard to find. 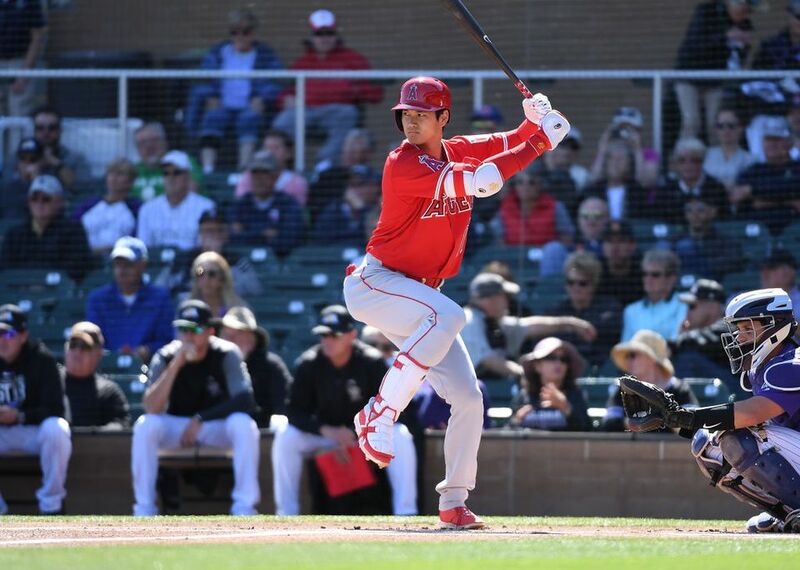 Schedules, ticket information, and stadium information for each of the 15 Major League Baseball teams that play Spring Training baseball in Arizona can be found on the Cactus League website. Each baseball team has a different starting date for ticket sales. Season ticket plans are usually available as soon as the team announces the Spring Training schedule. In the Phoenix area, March weather can be hot and sunny, making shorts and t-shirts suitable game attire. On the fewer, cool and rainy days, you may need an umbrella. The average high temperature for the month of March is 79 F. The average low is 45 F. In March the days can be warm but as soon as the sun goes down, it can cool off fast. At some of the stadiums, you might be sitting in the shade for the entire game. That will make it feel much cooler, of course than being out in the sun so a light jacket or sweater might be needed. In Arizona, there are 10 Spring Training stadiums where the teams of the Cactus League play. The games of the Cactus League are spread across the Valley of the Sun (greater Phoenix area) and so a map will help you decide where to stay and how long it might take you to get to games. Each stadium has unique features. In order to choose your seats and figure out where to park, it's good to look at the stadium information and tips beforehand. You can experience an assortment of stadiums and see a variety of teams during your visit to greater Phoenix. While some teams used to play in Tucson, all the stadiums for Spring Training in Arizona are now located in Maricopa County. The most distant stadiums are about 50 miles apart from one another. As with any place where people gather for an event, strict security measures are in place in for Spring Training. Gates for Cactus League games are usually open about two hours before game time to allow plenty of time for the security screening before the game. While many items are banned across the board like weapons and glass containers, some stadiums offer special exceptions for things like lawn chairs while others are even more restrictive. All bags will be inspected before they are permitted into the stadium. A smartphone with a camera, money, one small factory sealed bottle of water, sunscreen, a baseball cap, a glove to catch foul balls and an autograph pen are all that most people need to enjoy a game. However, you can usually bring in some light snacks and creature comforts to ensure you have a great day at the ballpark. It's just important to check the stadium website prior to going to the game. Several stadiums offer free trolley transportation to the games. Valley Metro has routes that will take you via bus to Spring Training games. Practice sessions are open to the public although spectators are usually looking through a chain link fence to watch the ballplayers go through their routines. All the teams practice prior to the start of the Spring Training season as well as in between games. The pitchers and catchers usually report for first practices in mid-February, and the other position players report the following week. Typically, practice sessions begin between 9 or 10 a.m.
One of the most popular activities during the Spring Training season in Arizona is getting autographs. Cactus League Baseball is exhibition baseball. The stadiums are smaller and the ballplayers are generally more accessible. Since the players are there for more than a month, its a great time to see many of your favorite ballplayers up close and personal. In addition, some major league players, past and present, live in Arizona all year round. There are the practice sessions, pre-game opportunities and even certain restaurants where you may run into players. Players are more open to giving autographs and expect more fan interaction during Spring Training. Sports bars are popular places to go after a day of cheering for your favorite team during Spring Training. Don't be surprised if you see some of the ballplayers at these sports bars after the game. Scottsdale, especially, has some fun sports bars, some with great sports memorabilia collections.